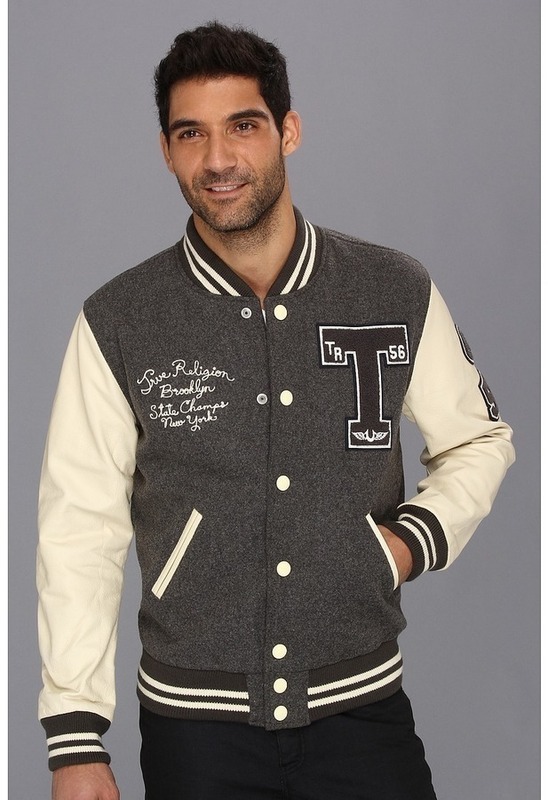 If you prefer relaxed dressing when it comes to fashion, you'll love this stylish pairing of a True Religion richie varsity letterman jacket apparel from Zappos and blue ripped jeans. 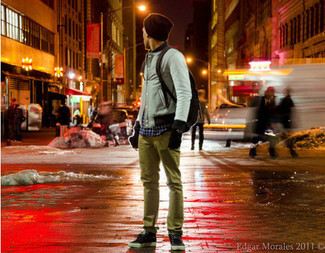 If you're in search of a casual yet on-trend look, opt for a grey varsity jacket and olive chinos. Both pieces are totally comfortable and will look great together. Throw in a pair of black high top sneakers to make the look more current.